Creating a website has become a fun, relatively pain-free experience in recent years. Forget coding, cryptic words like HTML and FTP. These days, the main challenge is to find the right website builder among the enormous selection available on the market. 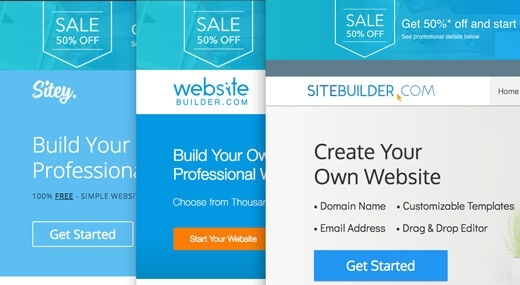 As you can guess, plenty of site builders offer free plans for you to build your own website. And because they are hosted in the cloud, you don’t even have to worry about web space. All you need is a computer and a web browser like Google Chrome, Mozilla Firefox or Microsoft Edge. Sounds like a pretty good deal, right? But it’s worth taking a closer look at the web builders pros and cons. We decided to save you some work and do it for you. So which free website creators are worth checking out? 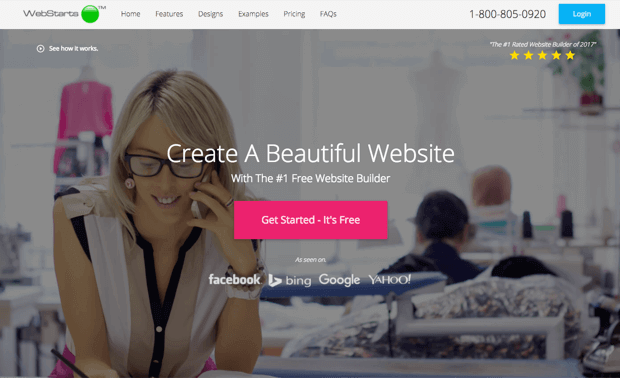 Here are some details on the free plans offered by eight of the best website builders. How do I create a free website step by step? 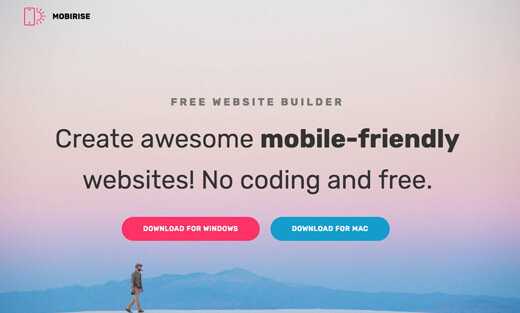 Free Website Builders: Find your favorite with 5 simple questions! Who really pays for these plans? What about domain names in free websites? Are there any other downsides of free website builders? Is it possible to create an online store too? Found your favorite? 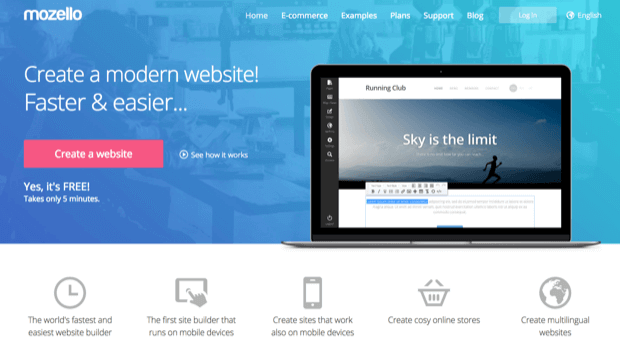 Try out Webnode, Ucraft, Wix or Weebly. Now it’s time to find the website builder that is right for you! Feel give our Smart Finder Tool a try, which will determine the best free website builder for you in 5 questions. Or you simply scroll down and read the profiles. A short while ago Webnode completely revamped their editor, making it very modern. The themes they added are stylish and responsive. A pity you can’t choose a completely new theme after your initial choice. Working with Webnode is very intuitive and also here (surprise) you have the option of upgrading to a paid plan. Webnode offers a low-cost variant at $3.95 per month (which they fittingly call Limited) essentially allowing you to use a domain name you already own and to contact their premium support. The small ad will stay with this option. Unfortunately, there is no ecommerce option in the free plan and also the blog is very basic. What we liked: the non-intrusive ad of the free plan and their selection of stylish, responsive templates. There’s no page limit and SEO settings can be changed for all pages. Where they should improve: adding/improving their features (blog, ecommerce). Also, storage isn’t very generous at only 100 MB in the free plan. Also, there is no app store for additional site features. The biggest of them all is Wix. They have more users than any other site builder and it’s easy to see why. It’s packed with unique features and great templates. An excellent choice to create a paid site – but what about a free one? Does it fare just as well in this arena? 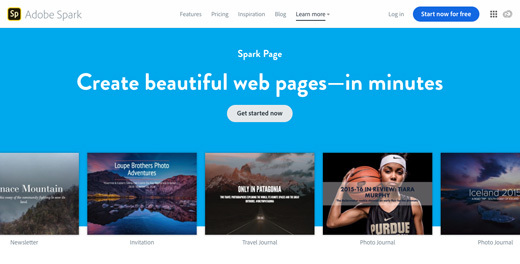 What we liked: their spectacular selection of themes and the flexibility of their editor. Also they have an extensive app market and 500MB free web space. No page limit. Full SEO customization. The Connect Domain plan offers a relatively cheap entry level at $5 per month, which allows you to use your own domain name (ad-supported). 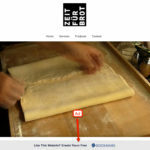 Where they should improve: the Wix ad is very visible and should not be sticky. Also, the free URL is too long and not easy to remember, unfortunately. In general though, it’s a very decent product, which offers great usability. There’s even an App Center with additional features. Paid plans start at $8 per month. 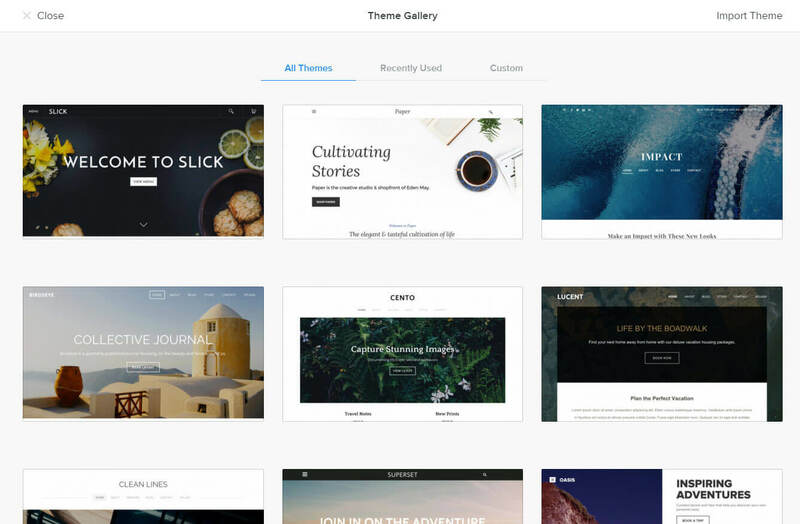 What we liked: their responsive themes and the app center with third-party add-ons. Also there’s 500MB of free web space. No limit on pages. 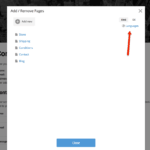 SEO settings can be edited for all pages. Where they should improve: the only downside is the very visible footer ad. Oh, and the cookie notice they show is just as annoying there is no way to switch it off (also it interferes with Google Analytics visitor tracking). This is an interesting product as they are the only ones that allow you to connect an existing domain name for free! They even include SSL at no extra cost. Their cheapest paid plan is called Pro, starts at $10 per month and includes pro features such as multilingual sites. Ucraft is a relatively advanced website builder, allowing you to fine-tune your styles such as fonts, colors, and spacings. Overall, we found it more complicated, though, than other free website builders as the editor isn’t quite as self-explanatory. Let’s hope that this business model can work long-term. They are giving away quite a lot for free (which is great!) but it makes us wonder if this is sustainable. 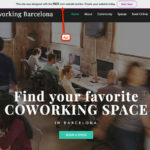 What we liked: the ability to connect a proper domain name for free. Their templates look pretty modern and there is a decent selection available. Their support was helpful and the size of the advert on free websites is acceptable. SSL is included in free sites. Where they should improve: you are limited to only the Basic Elements in the free plan. That excludes anything to do with articles, social media or ecommerce. The editor was sometimes a bit slow loading and felt a little buggy (but nothing too bad) and generally more complicated than other site builders. 5. Webstarts – Best Free Option? When it comes to Marketing, Webstarts is not exactly shy. With almost 4m users, they claim to be the #1 Rated Free Website Builder (without actually saying who rated them). To be fair, Webstarts’ free plan is a solid choice. It includes access to all the important features such as the blog, and you can even activate the online store. The product feels similar to Wix – in that all the elements can be moved around quite freely. In the feature and template departments though, you’ll find a lot less variety. What we don’t really understand is that Webstarts doesn’t offer a mobile-optimized website view in their free plan. Neither will your website be SSL encrypted. What we liked: Generous 1GB storage space, online store includes 10 products for free, SEO settings can be edited for all pages. The footer advertisement isn’t very intrusive and can be closed by your website’s visitors (it doesn’t disappear when scrolling though). Where they should improve: The backend could use a revamp, it’s starting to show its age a bit. It’s not great at all that they prevent the mobile-optimized view on mobile devices on the free plan. SSL encryption seems to be included in free plans but will be charged for in paid plans (at an outrageously expensive $8 per month!). The good thing about Jimdo is that it won’t cost you an arm and a leg even if you decide to go premium one day. Their cheapest Jimdo Creator plan at $10 per month and will allow you to use a proper domain. But even if you have no intention of ever upgrading your Jimdo website they offer a pretty nice package. Their (pretty limited) selection of templates is not only free but fully compatible with smartphones and tablets (responsive). There’s also a mobile app that you can use to build and edit your site. And in contrast to most other site builders, Jimdo also lets you use the online store – up to 5 articles for free. Then there is also Jimdo Dolphin, which targets complete beginners. It comes with only the most essential features but promises to guide you through the website building process with ease and the support of their intelligent assistant. 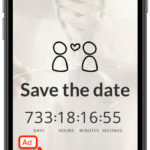 What we liked: the free plan shows only a small ad. They give you 500MB web space, which should be more than enough for most sites. There is no page limit and a blog is included as well. Includes SSL encryption. Where they should improve: their template selection could be better in both quantity and quality. Also, there is no app market. 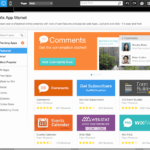 One.com doesn’t have a freemium plan like its competitors. They charge you from the beginning but the costs are very reasonable. Of course, your website will be ad-free. Optionally, you can add a proper domain name directly. There’s only one snag: you are limited to 5 pages, otherwise it’s getting rather expensive. If all you need is a small, ad-free website with its own proper domain name, One.com could be a great fit. Oh, and if you’d rather use WordPress instead of their own site builder you can do that too. Best of all, there won’t be any page limit! 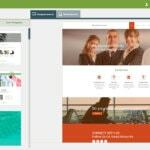 What we liked: the fact that you are quite flexible: either use One.com’s own site builder or WordPress. It’s a great option to get started professionally for very little money. 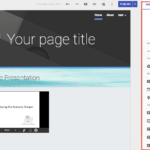 All templates are responsive and look modern. Where they should improve: the limit to 5 pages isn’t great. Their own website editor certainly isn’t the best in the market but it gets the job done. It’s also pretty complicated to activate the SSL encryption. 8. Site123 – Easy as 1-2-3? 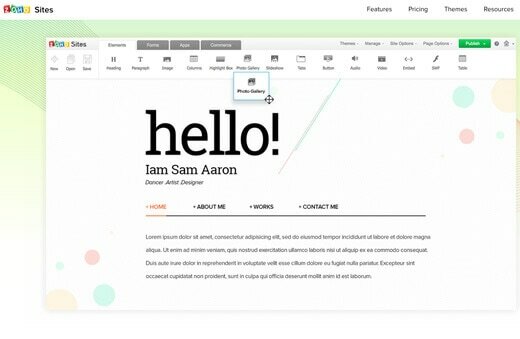 What we liked: It lets you create a one-page or multi-page website. There is a good choice of plugins and we found it easy enough to work with Site123. Their templates are responsive and the site includes SSL. Oh, and you have full access to the SEO settings! Where they should improve: we aren’t big fans of the editor. You change the content in a separate window, which is not really state of the art. To achieve even basic things you always need a lot of clicks. Also, the templates are pretty restrictive with what you can add. What features are people looking for, anyway? As you can see, the most looked-for features are Nice Templates (32.4%), Use My Own Domain (27.9%) and Non-Intrusive Ads (20.6%). 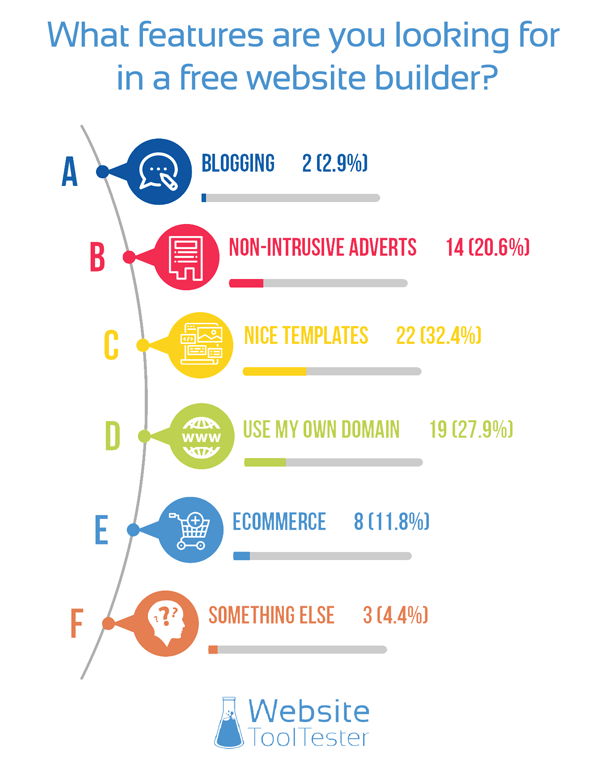 Luckily, for each of these categories, we have a recommendation: Wix has the best templates, Ucraft allows you to use your own domain name for free and Webnode has the least-intrusive ad of all site builders. The downside is that the editor, albeit easy to use, is really limited compared to its competitors’. Certain elements like a gallery can only be added to a specific gallery page-type, for example. This makes Mozello rather inflexible. What we liked: the almost unnoticeable ad and the possibility to create a free multilingual website. Where they should improve: the editor needs to become much more flexible and feature-rich. There is no easy way to add SSL encryption. In our test, not even the Mozello editor was using a secure connection, which is a bit worrying! What we liked: great themes that have clear call to actions. There is a mobile iOS and Android app for mobile website editing. And what’s fantastic is that you can access their live chat support – even in the free plan! Where they should improve: Reducing everything to one page only can be quite limiting and is not the best approach in terms of SEO. And even though the templates look really good, there could be a bit more choice. SSL encryption should also be possible for free sites. What we liked: Signing up is easy and doesn’t require a credit card. Their tutorial videos are fun to watch. And there is a tonne of options for better or worse. The advert on free sites is barely noticeable. 12. Bookmark – Websites created by AI? 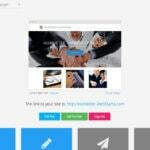 What we liked: Bookmark has quite a lot of features and modules that you can add to your website. All the websites are responsive and the editor makes a lot of sense. An advantage is that AiDA teaches you how to modify design elements in a couple of steps. They also offer integrated email accounts for $2 per month. What they should improve: The website we got didn’t look particularly attractive. It was very stock-image heavy. With this whole AI-branding, they raise very high expectations which, from our point of view, they can’t really meet. The cheapest ad-free paid plan starts at $11.99, which seems quite high compared to more established platforms like Wix or Weebly. 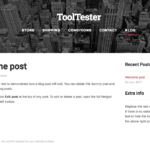 Tip: Save 15% on your first purchase with Bookmark using this exclusive voucher code websitetooltester15. 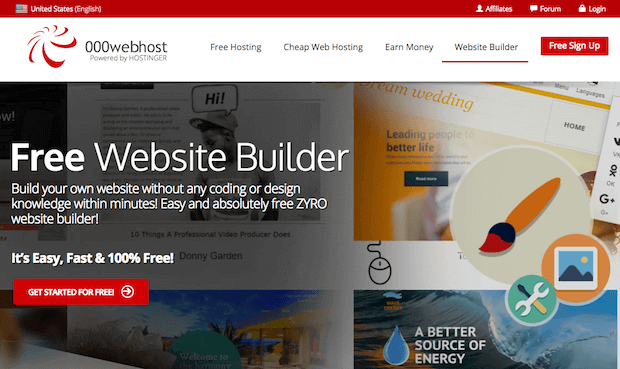 000Webhost belongs to the same holding that owns Hostinger, a relatively well-known hosting company. They use 000webhost to offer free hosting services. Those are limited to 1 GB of space, 10 GB of bandwidth and a maximum of 2 websites. 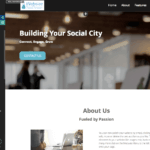 But if you don’t really want to use WordPress, they have a website builder with a free plan. If you ever decide to go premium to remove limitations from the free plan, you’ll be looking to pay about $9 a month. Being completely honest, there are much better tools (like Wix or Weebly) that offer similar deals. What we liked: unsurprisingly, really good integration with other Google products (Maps, Calendar, Docs, Slides, etc.). Where they should improve: there should be more themes and design elements. There is no access to the SEO settings of the website such as page title and meta description (!!!). Their knowledge base is as basic as the website builder, so it can be quite frustrating searching for answers (especially when all you find are forum posts like this one). 15. Webs – Can Free Still be too Expensive? What we liked: that’s a tough one. We would have said the simple editor but it seems to be quite bug-ridden if we can believe the feedback we’ve received. Where they should improve: they should send a sorry note to their users, burn down the current version of the product and rebuild everything from the ground up. When they are done with that they can continue by making the Webs advert slightly smaller and drop the limit to 5 pages. 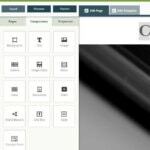 IM Creator has many modern-looking templates grouped by categories, which makes it easy to find one that fits your needs. Their designs are mobile responsive, and with their phone and tablet editor you can customize how they look on different devices. You’ve certainly heard of Photoshop. Maybe you’ve even heard of Adobe Dreamweaver, which was one of the first big WYSIWYG (what you see is what you get) editors. While it’s powerful, it’s everything else but free (or easy to use). Probably for that reason, Adobe created a free solution called Spark. 21. 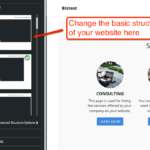 Sitey, WebsiteBuilder.com, Sitebuilder.com – Triple Déjà Vu? (Review) Logo in footer Free subdomain 0.1 GB Could do with more storage, otherwise very good. Unlimited pages. Unobtrusive advert in the footer. (Review) Logo in footer and Header Free subdomain 0.5 GB Good product with an incredible amount of features. Unfortunately, it shows very intrusive logos both in the header and the footer of the page. Bandwidth limit of 1 GB per month. (Review) Logo & expandable sign-up form in footer Free subdomain 0.5 GB The ad-bar at the bottom of the page could be less intrusive. Other than that there’s little not to like about Weebly. Webstarts Logo in footer Free subdomain 1 GB Great free option: very small ad, access to all SEO options, decent templates, and an online store. Unfortunately sites are not mobile-friendly. Ucraft Logo button in footer Free subdomain Unlimited The only one to let you connect a domain name for free. Limited to a one-page-website. Gives you access to all SEO features. Unintrusive ad. (Review) Logo in footer Free subdomain 0.5 GB Solid product with unlimited pages. Minimal advertising. (Review) No ad Proper domain name (.com, .org, .co.uk etc.) 25 GB It’s a cheap web builder, which is only free in the first year. Thereafter it’s $2.45 per month. You can use their own website builder (limited to 5 pages) or WordPress. Mozello Footer link to Mozello Free subdomain 0.5 GB Great for multilingual websites. Features decent templates but the editor isn’t very flexible. Site123 Overlay in footer Free subdomain 0.5 GB Decent site builder with modern templates but a pretty outdated web editor. There are numerous plugins that you can add to your website and support is included. 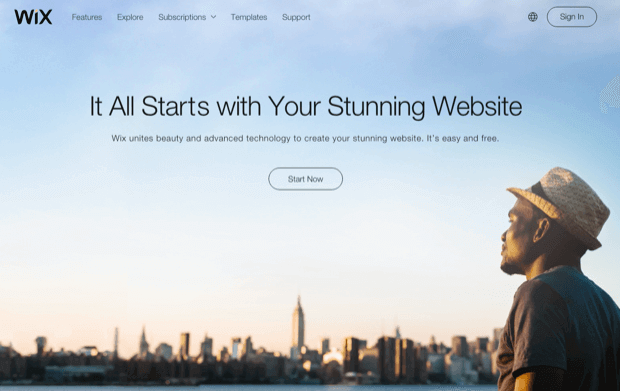 Strikingly Overlay in footer Free subdomain Unlimited (10 MB max. 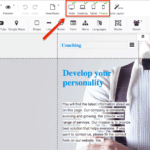 file size) Features modern and responsive one-page layouts. Multi-pages are only possible in their paid plans. Personal support is included in the free plan. It’s true that the best things in life are free, but this generally only applies to the intangibles. Hosting a website, on the other hand, clearly costs the provider money. They have to cover the cost of running their servers and marketing their services, not to mention ongoing development. Free web page builders are almost always based on a freemium model. This means that the free, entry-level plan is funded by those customers who go on to purchase a paid (or premium) plan. That’s why it’s worth doing your research before choosing which free online website builder is best for you. You won’t get a proper domain name, because .com or .net domains always come at a cost. As you have seen, most providers will give you a subdomain such as yourname.providername.com. You’re not doing yourself any favors in terms of search engine rankings (see next section). 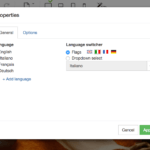 Ucraft is the only decent free site builder that allows you to connect your own domain name free of charge (keep in mind that you’ll be limited to one page only). You’ll still have to buy the domain somewhere as Ucraft doesn’t sell domain names. At Namecheap, for example, a .com domain will cost you a bit less than $10 per year. As we’ve seen above, many providers will run advertisements for their own or other businesses on your free website – not a professional look. In order to rank highly in Google it’s not only important to provide decent content but also to be able to manage certain settings on your website. 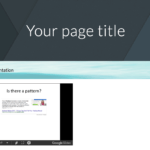 For example, you should be able to set a page title and a description for each of your pages. Fortunately all major site builders, with the exception of Jimdo, provide this. As we’ve learned before, nearly all of the free packages have one limitation in common: you won’t be able to use a proper domain name. The domain name also has an important effect on SEO and most of the time subdomains don’t reach the top spots in search engines. Not very trustworthy, is it? If you are serious about ranking your site on Google you should consider opting for an affordable website builder rather than a free one (e.g. One.com or Jimdo). Find more information on SEO here. 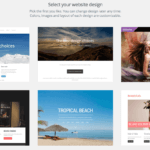 Which free website builder is best for ecommerce? Webstarts Complete online store Webstarts not only lets you add up to 10 products, but you can also accept credit card payments through Stripe, WePay or Authorize.net. Inventory management is included and there’s even an option to sell digital goods. The only downside is that you are limited to 20 sales per day. But hey, then you should really think about a paid upgrade. (Review) Complete online store Jimdo does not offer the most advanced online store features. 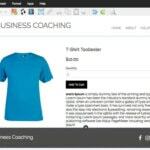 However, you will be able to create a complete online store for free. Payments go through PayPal and you’re limited to 5 products. Mozello Complete online store Allows up to 10 products and supports payments via Paypal. Although the store is quite limited, they also support a multilingual setup here. 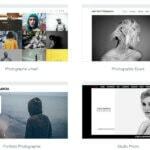 (Review) Add-on for existing websites This plugin will turn your current website into an online store. Be aware that the free plan is limited to 10 products. You can also add Ecwid to one of the aforementioned free site builders. If you are looking for a (free) store builder, check this guide to find more alternatives. In a nutshell, if you’d like a really simple, free ecommerce site, our recommendation would also be Webstarts. Feature-wise they offer much more than all the other store builders in this test. Webnode and Wix are the most convincing free website builders in our view. Webnode sports an unobtrusive advert and delivers a simple product with a nice selection of responsive templates. Wix’s advantage lies in their huge amount of features of which most of are available for free. It’s the most future-proof choice should you ever be considering a paid upgrade. 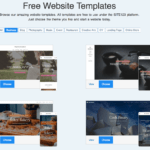 If you are looking for a free website builder that lets you connect your domain name for free, check out Ucraft. 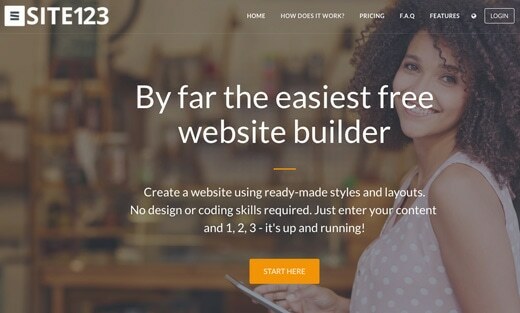 While it’s probably not most easy to use website builder, we found it a good-enough choice. Once you’ve built it, moving your website to a new provider can be quite a hassle. So remember to take your future plans into consideration when weighing up your options, especially if you might want to get a proper domain name, matching email addresses or an ad-free version of your website at some stage in the future. So if your plan is to upgrade to a premium package in the nearer future, you should also check out our paid favorites Wix and Weebly. While their free plans have certain downsides, they are more advanced when it comes to the complete product. For more details, please also take a look at our website builder ranking chart. I hope this article was useful! For questions and feedback please leave a comment! 24 Jan 2019: Changes in Ucraft’s free plan. 10 Dec 2018: New video overview added. 30 Nov 2018: Adobe Spark added. 27 Nov 2018: Infographic added. 21 Nov 2018: Smart Finder added. 15 Nov 2018: Added demo pages to most site builders. 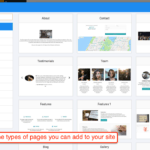 20 Feb 2018: New site builders added – Bookmark, Webflow and 000webhost. 18 Jan 2018: Added WordPress.com, Mobirise and Sitely. 16 Jan 2018: Added Strikingly, Google Sites, Site123 and Ucraft. 20 June 2017: Full update of the article, adding Webstarts and Mozello. 18 May 2016:Weebly Free’s storage is limited to 500 MB. 13 Apr 2016: General update. Ecommerce free site included. 4 Apr 2015: It is not longer possible to use an existing domain name with your free Webnode site. 9 Jan 2015: We included Wix.com in our selection; it provides a free plan, which is excellent for creative people. We added a new video with all the updated information. 17 Jul 2014: Webnode states on their pricing overview that you can’t connect an existing domain name to a free Webnode site. However, this only applies in a few cases, generall,y it should still be possible. If it doesn’t work in your case please let us know and we will check it for you. 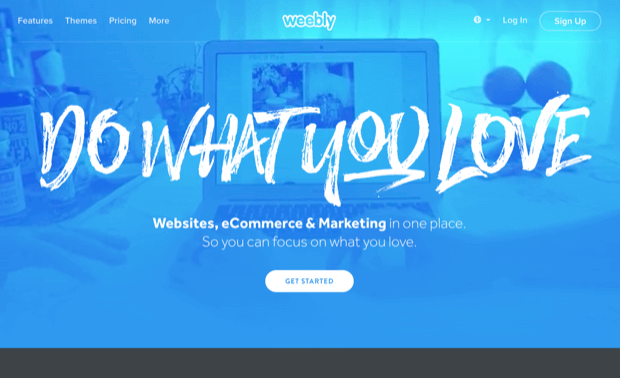 10 Jun 2014: Weebly’s free plan continues to deteriorate: now there is an ad bar in the footer with a Weebly sign-up form. 24 Oct 2013: It’s no longer possible to use an existing domain name with your free Weebly site. That’s why they are only second in our ranking now.